Spending some time in Livigno seems like it was exactly what I needed to get some form back leading into the U/23 World Championships in Erzurum, Turkey. It was good to arrive at the tracks feeling fresh and not realising the altitude as much as I did the year before. The day before the skate sprint I was feeling good, I was fresh, I wasn’t noticing the altitude much at all and I felt like I had the spark back that I had been lacking prior to this. Having said that I was a bit worried about the course and how much it was going to hurt, the major work section was all in the first third of the course and going out too hard could mean major time loss later in the race. Warming up I was feeling good, nervous but ready to have a good one. I made sure I went out of the conservative side to make sure I wouldn’t blow. I skied solidly out of the stadium and up the major hill; getting to the top I thought a had done exactly what I hadn’t wanted to do and gone out too hard but after a small downhill rest I had regathered somewhat. Up the second hill I put down all that I could and was starting to hurt badly; I then tried to hold it together as much as possible and dragged myself through the stadium and up the finish straight in a world of pain. I didn’t make finals but I was happy with the way I had skied, not blowing too badly and able to push hard. I ended up finishing 45th and getting my best FIS points to date of 107 which I was stoked about and happy to have some form back. We then had a day off before the 15km classic where I was once again feeling quite good doing some efforts on the course. It was another tough course with lots of climbing and limited rest. It was going to be another day to go out conservatively, especially because recovery on the downs was much worse due to the altitude. Race day, I was feeling good and confident with my wax. I went out easier as planned and was feeling good. Up the major hills I was sure to concentrate on my technique making sure to ski as efficiently as possible. Around the 7km mark, going up the major climb for the second time I was really starting to hurt and close to tipping over the edge, this reminded me that I had to stay more conservative as the lack of oxygen was taking its toll. 3rd time around the 5km loop I was really hurting, starting to fatigue badly and going slightly dizzy at the top of the hills due to the lack of oxygen. I finished hard and was happy it was over. I ended up finishing 55th, slightly ahead of my rank which was good and happy to get my best distance points of 115. Another day off between races lead to some ski testing and a very easy skate to prepare for the 30km skiathlon. 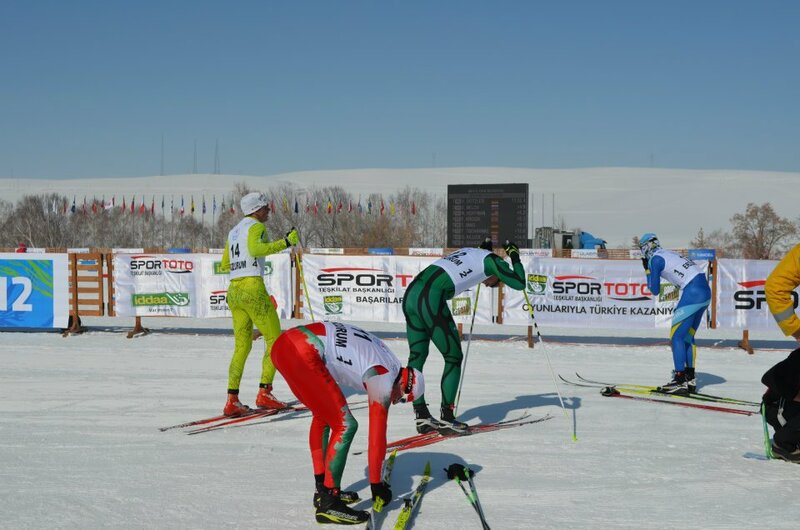 I wasn’t so fresh for the 30km after the classic the day before but the easy ski brought the legs back a little. A bit of a boring but relaxing way to spend my 21st. 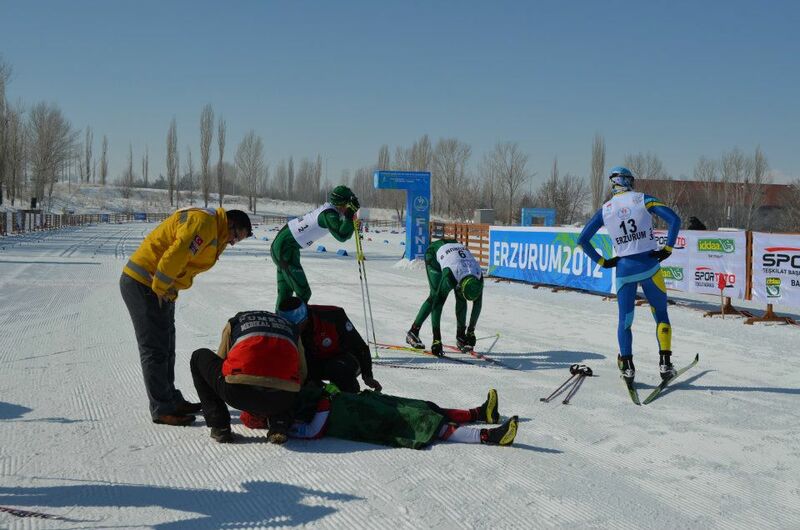 With around 66 races the start was hectic, lots of people crashing and getting caught up in a bunch of skis and poles. I was very lucky to avoid the shemozzle at times. 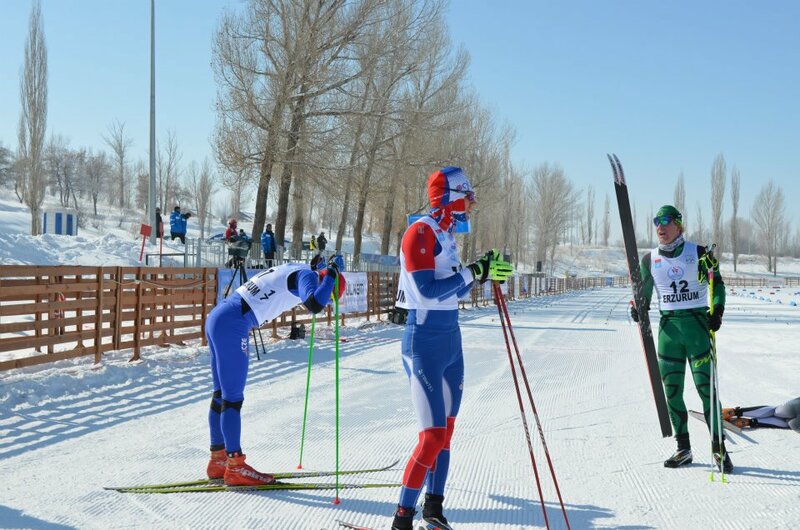 The pace was hot and I was working hard to ski efficiently so I would hold on as long as possible. I was skiing well and held on to the bunch for some time but after some kms I had to drop off the back to avoid blowing. I was just off the back of a small group which Callum was skiing in but unable to bridge the gap and started slowly loosing time on this group as well as the front bunch. I changed skis happy to be finished with the classic, it took me around 2kms to get my skate legs turning over but once I was going I started skiing fairly well. I was getting feeds of coke off mark and this was giving me a boost, I was still losing time to the front bunch and because of the small loop was worried about the lap rule. In the end one lap off starting the final skate lap I was pulled. It was quite frustrating because after getting pulled the front runners didn’t come through for a few minutes and judging by when Cal came through and how far back I was on him I may have gone close to making it round into the last lap, but then again that may have been wishful thinking. I was lapped off in 54th position out of 66 starters as lot of people behind me had given up and pulled out and some lapped off as well so although I didn’t finish I was happy with the way I had skied. All up I was pretty happy with the week and the way I had skied, happy to have some form back. After the last race we had a bit of a night out with all the other teams which was good fun and celebrated the 21st a bit. I now head to Lahti, Finland, for a classic sprint World Cup which I hope to pick up a bit from where I was in the Otepaa Classic sprint. This entry was posted on February 28, 2012 by Phillip Bellingham XC Ski. It was filed under Uncategorized .